Like i had anouced in my last post yesterday i had been the speaker in a session about Web and Cloud Development at the Launch event of Visual Studio 2012 in Portugal. After my session some questions had arrived to my email. On off the most common questions was if ASP.NET MVC will kill ASP.NET WebForms. That was what made my write this post in the reality each technology has is one scope and is better at something i use them both depending on my goals. It uses a Front Controller pattern this enables you to design an application that supports a rich routing infrastructure. It uses a Page Controller pattern that adds functionality to individual pages. For my point of view this is the most relevant points of each technology. Another point off choice can be the size of the development team envolved. If you have big and multidisciplinar teams MVC is better if you have produtivity issues and a very small team and you don t need to have full control of front end WebForms will be the winner. I hope this post help you when you are looking for chose the right aim in the Microsoft Web development stack. 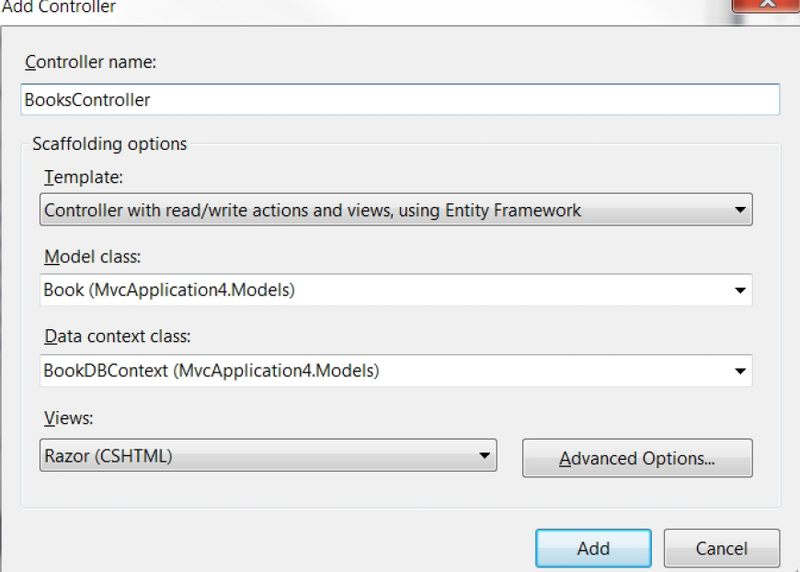 I had been spending a great part of the night trying to figure out how could i automatic generate Controls and views in ASP.NET MVC 3 and i end up with a review to code first way to do things. My problem was to allow some dynamic content to be manged directly from a website. For my example i used a canonical example based on books. So here goes the review of automatic creation to the ones like me that don t remember sometimes this wonderful asp.net MVC 3 feature. After long running R& D and tests i finally can do this. To do that i had to use some CRUD with scaffolding with Entity Framework and code first. So let’s meet my road to accomplish this. The first class defines the concept of book and his data and actions. The second class is the context of book.